The Securities and Exchange Commission (SEC) charged embattled blood-testing company Theranos and its founder, Elizabeth Holmes, with “massive fraud” on March 14. 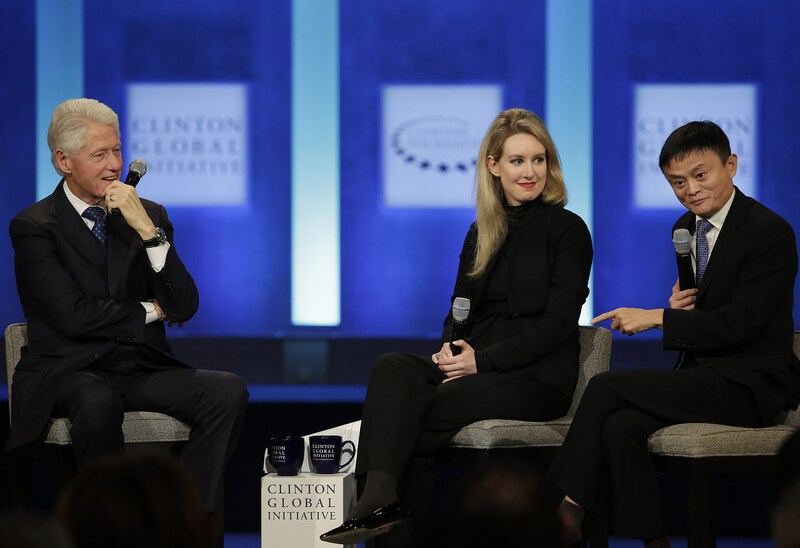 “The complaints allege that Theranos, Holmes, and Balwani made numerous false and misleading statements in investor presentations, product demonstrations, and media articles by which they deceived investors into believing that its key product—a portable blood analyzer—could conduct comprehensive blood tests from finger drops of blood, revolutionizing the blood testing industry,” the SEC stated in a press release. In reality, the Company’s proprietary device could complete only a small number of tests, with the vast majority done on machines manufactured by others, SEC concluded. Theranos and Holmes have agreed to settle the charges against them. As part of the agreement, Holmes will give up control over the company, pay a $500,000 fine, and return 19 million shares. She will also be barred from being an officer or director of a public company for 10 years. Theranos and its 34-year-old founder were once hailed as disruptors of the blood testing industry. The start-up raised $700 million dollars from investors and reached a valuation of $9 billion before its collapse. Holmes was only 19 years old when she founded Theranos in Palo Alto, California. She dropped out of Stanford University and jumped right into the startup world. Theranos invented a new blood testing device called Edison. The device was able to perform hundreds of tests with just a few drops of blood rather than vials of blood. It replaced needle jabs with finger pricks and claimed its tests were easier and much cheaper than conventional methods. Holmes made the first breakthrough by convincing investors to support her invention. She raised around $6 million, which valued her company at $27 million in 2005. Holmes worked seven days a week and did not take any vacation from the day she started Theranos. “I have trained myself to sleep very little hours,” she said during an interview at Stanford University in February 2015. Holmes stayed very quiet about her business. She was not well-known until she first appeared on the cover of Fortune magazine in June 2014 and announced that Theranos had reached 500 employees and a valuation of $9 billion. With 50 percent ownership in Theranos and a net worth of $4.5 billion, Holmes was listed as the “world’s youngest self-made woman billionaire” by Forbes in October 2014. Holmes was a big fan of Steve Jobs, wearing black turtlenecks like him and applying his approach to product secrecy, according to media reports. “She grew up in Silicon Valley, where you keep everything as a secret so nobody can steal your ideas. But that is not how it works in laboratory diagnostics,” Jones said. Hence, Holmes was often criticized for not publishing any data in peer-reviewed journals. She appointed prominent names to the board of directors and the advisory board including former secretaries of state Henry Kissinger and George Shultz. “She stacked the board with former politicians who had no experience in FDA-regulated industry and, in particular, laboratory testing,” said Michael Wienholt, principal consultant at Halloran Consulting Group. “The managers and operational directors of the company were inexperienced too,” he said. 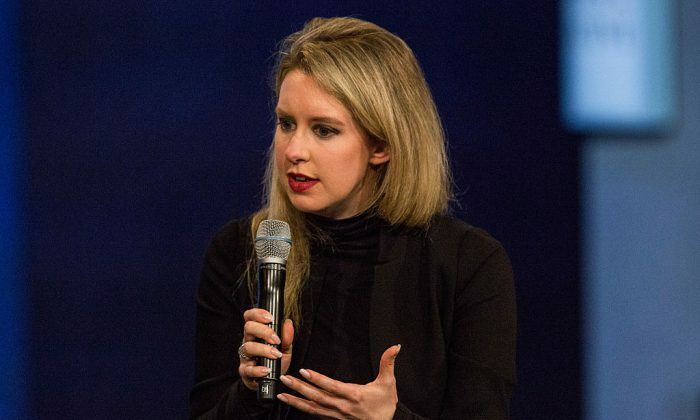 Holmes’s fairy tale took a dark turn in October 2015 when The Wall Street Journal published an article questioning the reliability of Theranos’ test results. Based on information gathered from former employees, the Journal claimed that less than 10 percent of blood tests were actually performed on the company’s proprietary device, Edison, with the vast majority done on traditional machines purchased from companies like Siemens AG. Holmes called the Journal “a tabloid magazine” and refuted the allegations. Theranos, however, came under fire and became the subject of several investigations by the Food and Drug Administration and Centers for Medicare and Medicaid Services. The company was also the subject of a criminal investigation by the U.S. attorney’s office. The federal regulators issued a letter to Theranos stating the company violated quality standards and put patients in immediate jeopardy. The regulators later imposed sanctions, including banning Holmes from owning or operating a medical laboratory for at least two years. The company closed its clinical labs and wellness centers and laid off many of its employees. Theranos said it would focus on manufacturing the miniLab, its diagnostic equipment, instead. Forbes announced that Holmes’s net worth had dropped from $4.5 billion to zero. By the end of 2017, the company was on the “verge of bankruptcy,” according to the SEC. It has since secured a term loan to keep the company afloat for about a year, the agency said. Holmes was a Clinton donor and was named a Presidential Ambassador for Global Entrepreneurship under President Barack Obama.